This landscape applique pattern will help you “plan” your Autumn Hills. Finished size is approximately 9”W x 9”L (not including borders). 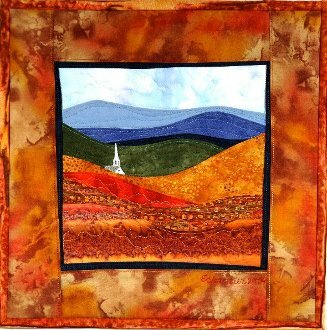 Hill scenes can be matted and framed OR finished as a miniature quilt by adding borders and quilting.